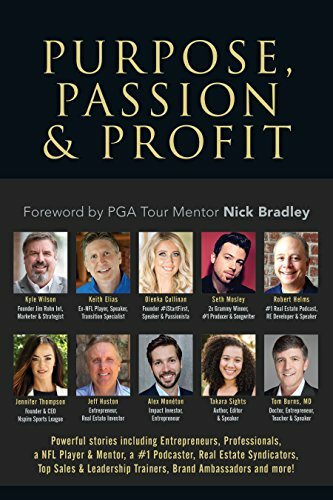 Fans of Jim Rohn, Brian Tracy, Tony Robbins, Mark Victor Hansen, Zig Ziglar, Robert Kiyosaki, and Darren Hardy will discover stories full of applicable lessons and strategies that touch the heart and uplift the mind. Kyle Wilson with Keith Elias, Olenka Cullinan, Seth Mosley, Robert Helms, Alex Monéton, Jennifer Thompson, Ben Suttles, Dr. Roderick Capelo, Takara Sights, Dana Samuelson, Dr. Harland Merriam, Erika Feinberg, Elijah Vo, Emmanuel Bernstein, Dugan P. Kelley, Ethel Rucker, Richard Rajarathinam, Jeff Huston, Jennifer Moran, Jerry Horst, John Bogdanov, Julie Bowen Stern, Ken Lundin, Mahealani Trepinski, Chad Hughes, Kevin Ozee, Meredith Bell, Michael Manthei, Mohsen M. Amin, Willa Gipson, Andre Paradis, Dr. Tom Burns, Troy Hoffman, Udo D. Strick, Sophia Stavron, James Blakemore, and Nick Bradley seek to create positive, everlasting change in your life and move you to action! From creators of bestselling books including The One Thing That Changed Everything, Life-Defining Moments from Bold Thought Leaders, Mom & Dadpreneurs, The Little Black Book of Fitness, and Passionistas, these are not just feel-good stories. You will read about overcoming financial ruin, battling health challenges, both mental and physical, and surviving tragedies and abuse. You’ll read about persistence, courage, redemption, and unconventional approaches to challenges. Everyone involved has put a lot of work and energy into making sure this book and the lessons inside it will make a positive difference and a ripple in the world. We are honored by each of you who take the time to read and help start that ripple. 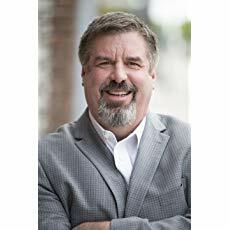 He's worked with the top names in the personal development industry including his 18 year biz partner, friend and mentor Jim Rohn, as well as Og Mandino, Brian Tracy, Zig Ziglar, Les Brown, Darren Hardy, Robin Sharma and many others. Kyle is the author of 52 Lessons I Learned from Jim Rohn and Other Great Legends I Promoted! and co-authored Chicken Soup for the Entrepreneur's Soul with Mark Victor Hansen and Jack Canfield.